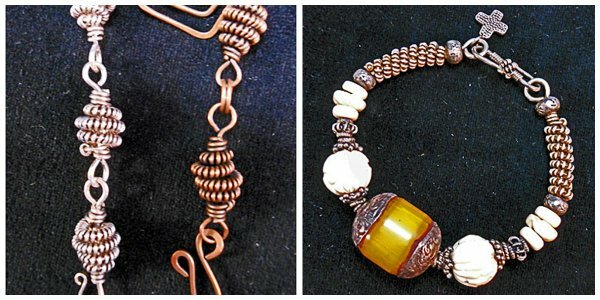 Use a mandrel to make coils, then fashion them into simple or more complicated jewelry. Choose either Kuchi Coil or Bangle II. Patricia may offer more than one class on her teaching days. The first two students to register determine the projects taught on a given day. If you register on line we will call you to confirm your choice.